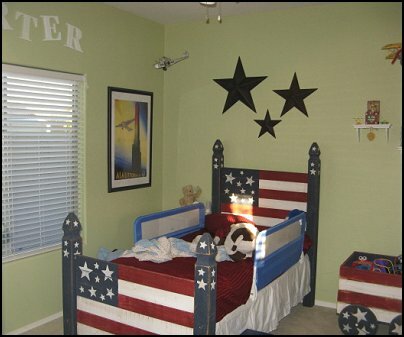 Looking for design ideas to help you create your patriotic Americana Stars and Stripes theme bedroom? 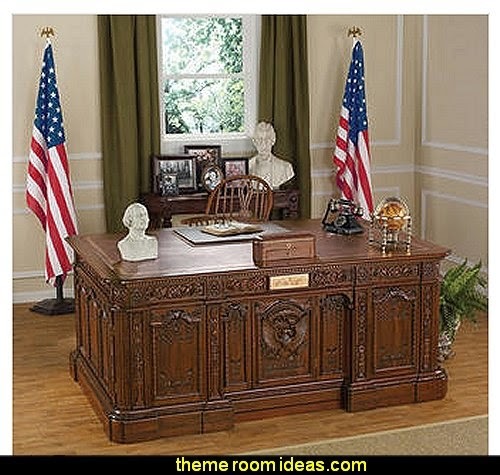 This historic desk is a replica of the one created from the timbers of the British H.M.S. Resolute, given to U.S. President Rutherford Hayes in 1880 by Queen Victoria and used by most American heads of State since. 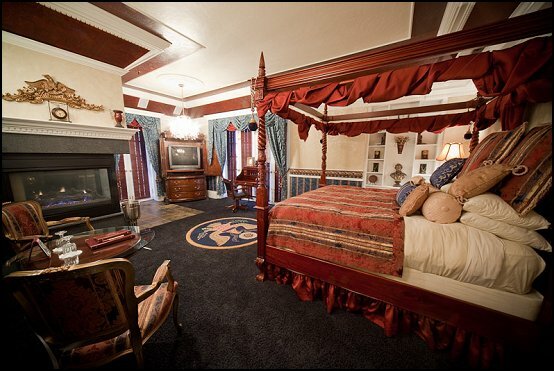 A presidential 6-feet in width, this solid mahogany masterwork features hand carving that includes a nothing-short-of-amazing American eagle on little John-John Kennedy's opening panel and an enviable, tooled antique brown leather top with gold tooling. 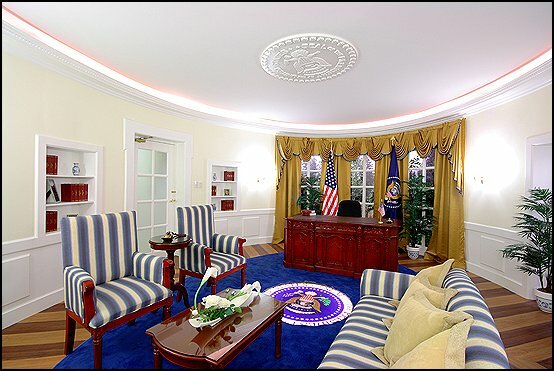 This extraordinary Victorian replica boasts letter and file drawers hidden behind doors with metal pulls along with three shallow drawers up top to hold your mighty presidential pen. 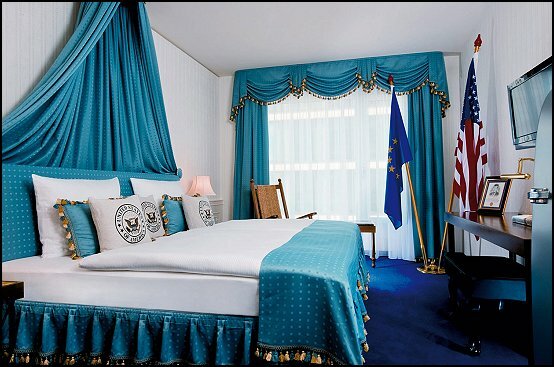 Sure to be the signature piece in home or office, this stunning work is almost unparalleled among pieces that carry a rich American history. Simple assembly required. 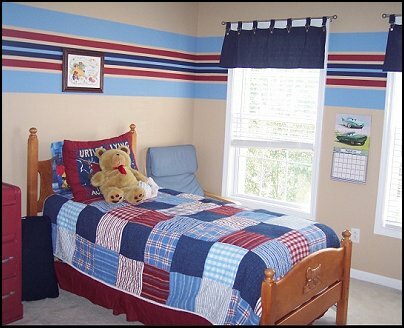 When a person is looking to decorate their home using a patriotic theme there are many patriotic decorations that show American pride. 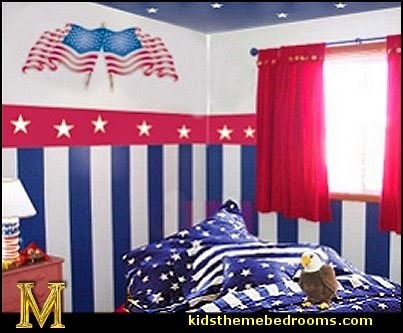 There is everything from decorative pails, American flag angel statues, patriotic wall decorations and American flag throw pillows. 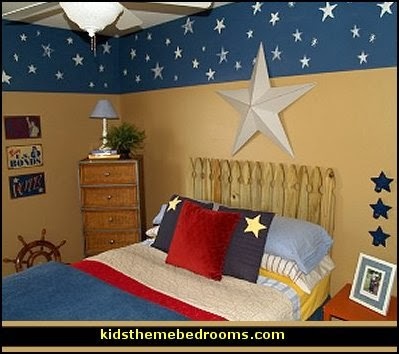 There are also many different styles of the American flag that can be hung around the home. 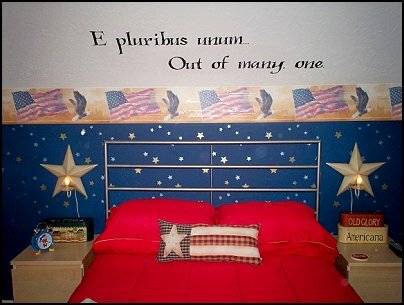 This includes different styles of patriotic bunting and even US flag yard sticks. 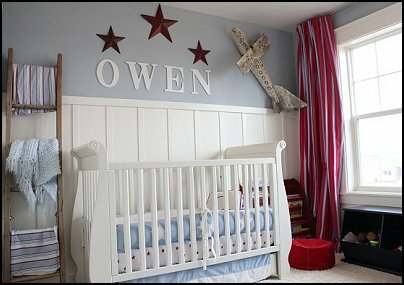 Americana barn stars are always a popular decoration that you will see hung all year round.